Freshly squeezed lime juice, Himalayan pink salt, triple sec & house tequila. "In a world full of trends I want to remain a classic"
Muddled strawberry, lime, lychee liqueur & mezcal, topped with rose kombucha. "Lola's approved"
You already know it's gonna be good! House infused strawberry + cumin rum, mint, lime and splash of soda. This is top notch! Hose made lime'cello vodka, St Germain, blueberries, lavender & green tea syrup, rose wine. Vegan, gluten free, dairy free, fat free... we got you! Bulleit bourbon, Ancho Reyes and almond liqueurs. Smoked to order with applewood and served with soda. "And I drink to myself, what a wonderful world"
Great food! On the smaller side with the portions but every single bite was fantastic. Wonderful experience. We’ll definitely be back. Staff was great, food delicious, great cocktails. Great ambience for date night or just chilling with friends. Food was excellent and fresh. The guacamole and chips appetizer was tasty and the portion was much larger than expected. Dinners were fantastic, and the churros were some of the best I’ve ever had. Service was prompt and friendly. Would highly recommend! 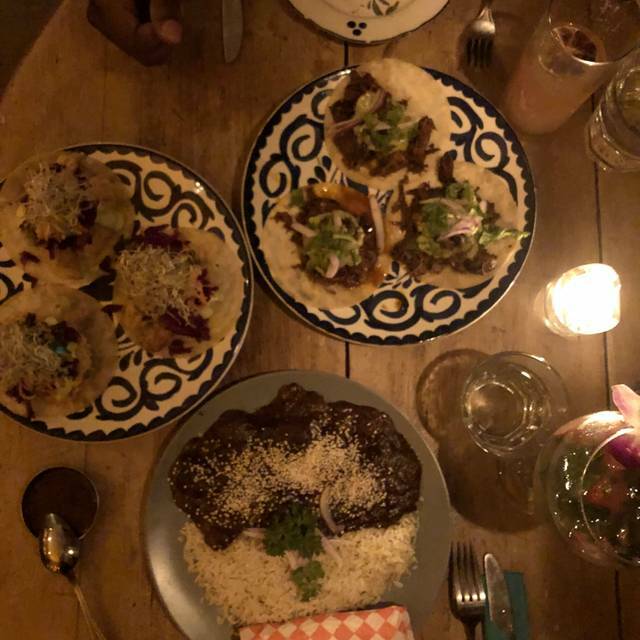 It was our first time at Fonda Lola and we have really enjoyed the experience of this authentic Mexican restaurant! The vibes and the atmosphere were simply great! The food was really good as well the service and the cocktails... you can definitely say that they put love in what they do! I went on a Saturday night with some girlfriends, and it was so much fun! The Fish Tacos are OUT OF THIS WORLD!!!!! So much so that we had to order another round of them. 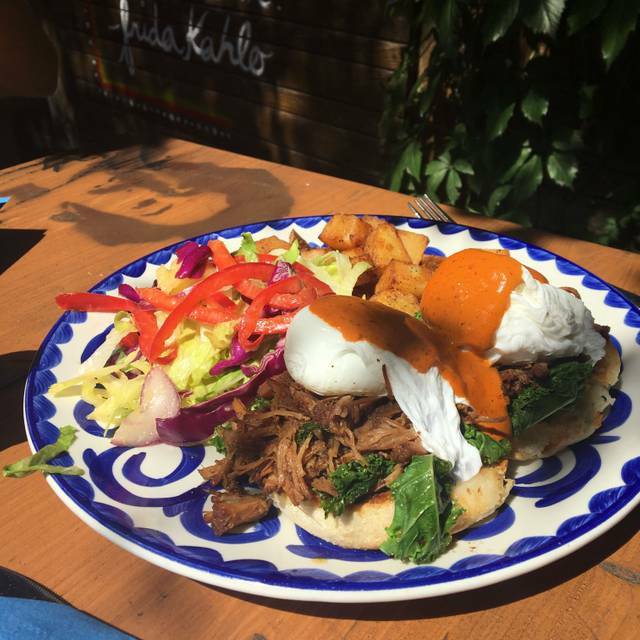 We ended up talking to the owner and learning about the different locations (one in Mexico... no wonder why it's so delicious!) and about Tequila of course. We left full, and super happy. I would highly recommend anyone to go. I am craving some tacos already! The food and cocktails were delicious. The servers were all very friendly and helpful, and the manager (or owner) was fantastic. I had never been to Fonda Lola - the flavours used in the Mole Rojo (dark chocolate and dried pepper) were imaginative and flavourful. Service was excellent. I will go there again. The food was good, however the staff seemed to be in a hurry for us to leave. After we finished our winterlicious lunch, we were immediately presented with our bill. We were not asked if we wanted more drinks. The only question - we were asked was if we needed the machine to pay the bill. Portions may seem small but we were ready to be rolled out by the end, the food is pleasantly but unexpectedly filling! Food was great, drinks are amazing. Our server was good and on point, but the guy behind the bar is key! Definitely seems like he cares about the restaurant and what they put out. Great experience would definitely recommend. The food is tasty but the portions are very small for the price. The staff is friendly. Great food, especially as part of winterlicious. Chips, salsa and guac are delicious. We had chicken and beef tacos, both were really good. Seating is pretty tight, so be ready to know your fellow diners. Great Winterlicious choice! Will go back again! Would love to sit on the patio in summer. 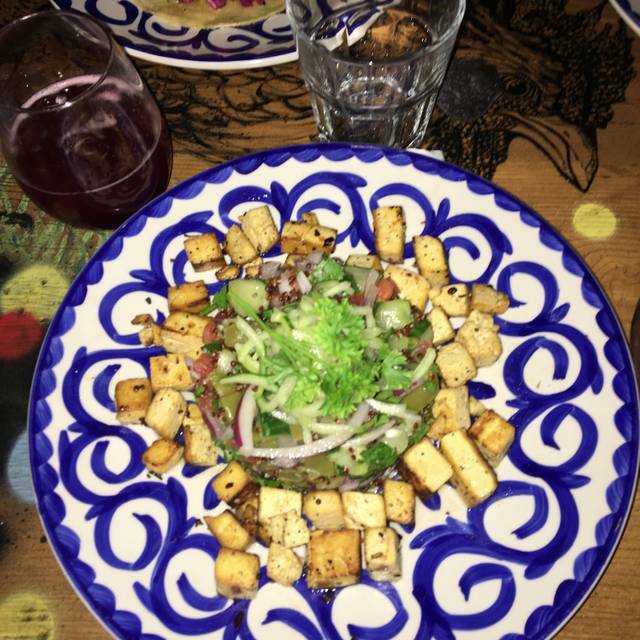 Nice size portions- tasty Mexican food and drink!!! What a fun place! Food was very tasty. Service was great. Really nice staff. We will return. Small space , great vibe. We were there for Winterlicious . They served the appetizer and immediately following the main. No time to enjoy , felt like they were rushing us along. I accidentally spilled my drink with the crowding on the table and they didn’t even offer to bring me a new one. The service was less than impressive. The food was great. . The food was amazingggg! I would definitely go again. The only thing I didn’t like was I felt like I was being rushed to finish my food in order to leave so they could seat the next group of people. I get it’s winterlicious and they were busy but let me atleast finish my main course before you bring me dessert. I was a little disappointed with that but everything else was great. 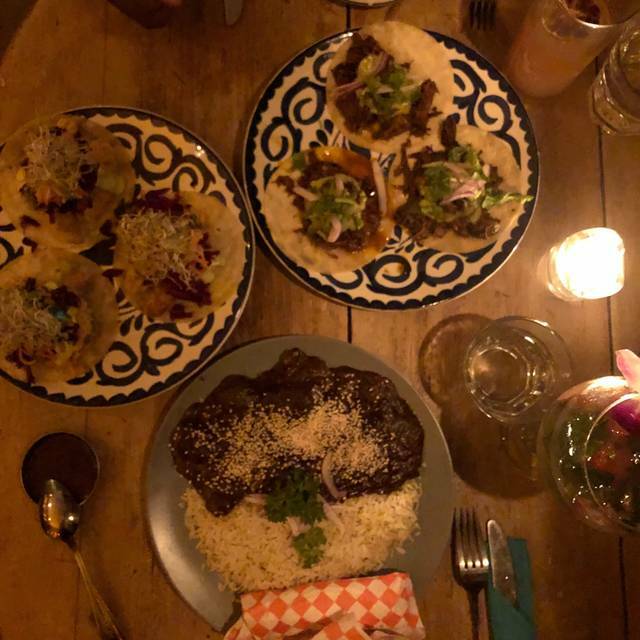 Great margaritas and delicious tacos and mole. The churros were yummy too! Food was great but expensive for the amount. 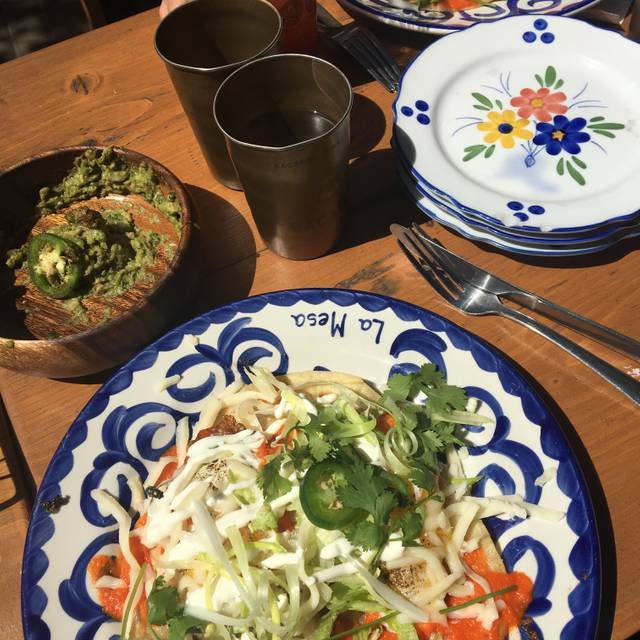 Authentic mexican but with a sophisticated twist. Food was tasty and nicely presented. Great service. I took a chance based on the rating on OpenTable and had a first date at this restaurant. The atmosphere was Lively, the service was fantastic and the food was great! My date was impressed by my choice of restaurants. It was not so loud that we couldn't hear each other talk and it was not so quiet that everything we said was heard by everybody else. Great place for a date or a get together with old friends. I will be back for another visit. Very cool little place with friendly and helpful staff. 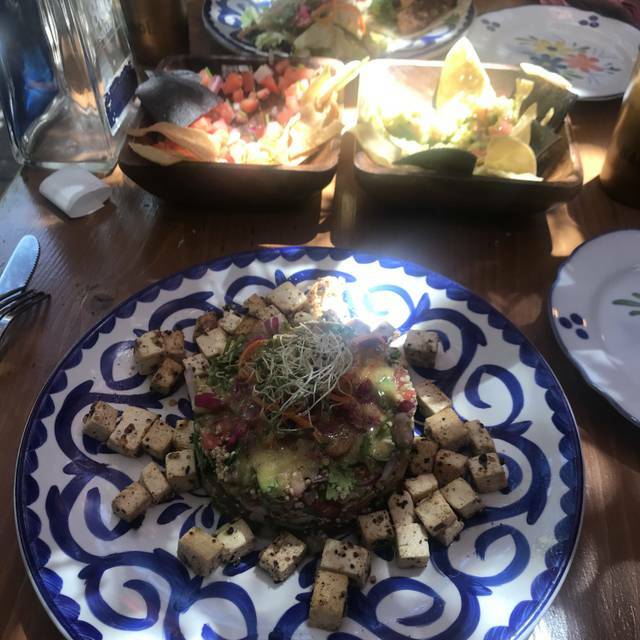 The food was fantastic - the guacamole is not to be missed and perfect for sharing. 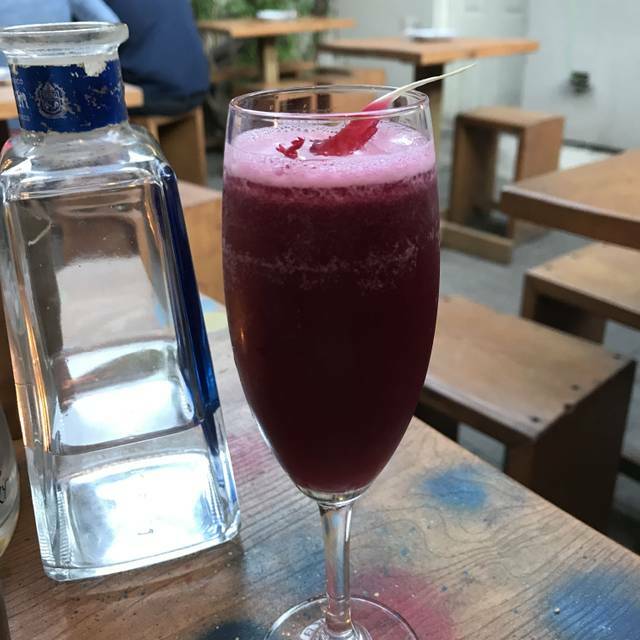 I tried the Mi Nina drink and loved it. I'll be back! Love this place so much. Thought it had closed, but so pleasantly surprised to find it is still here and going strong. Great Service! Wish they have more options on the menu for lunch. Excellent service, delicious meals and drinks. This was my second visit and we will be back. Amazing experience overall. The empanadas are out of this world! Patio was empty when we got there, so beautifully decorated. The lights came on in the evening, patio filled up but it wasn’t too loud at all. Great service, great spot. 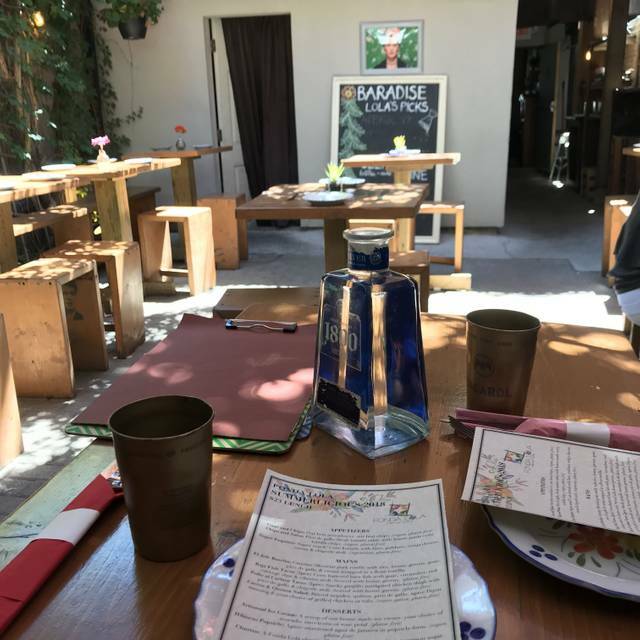 Delicious food, great service and ambiance. Only slight issue was that my churro was a little too dry. But the rest of the food was excellent! The food is always delicious and creative. One of my faves. I booked a table at Fonda Lola for my birthday dinner, looking forward to good food and good times. I was sorely disappointed and will never return. Halfway through the evening, my boyfriend was on his way downstairs to use the washroom when a server rudely whistled and gestured at him. Confused, my boyfriend pointed to the table to indicate that he was having dinner with our group. The server responded with “And...?” and continued to be rude. Later, the server offered a lame excuse that they don’t like people coming in off the street to use their washroom. We were seated at a table right by the bar, close to the stairs leading to the washroom, so I’m not sure how this “mix up” happened. No apology was offered, and further the owner came by later to continue to offer this lame excuse about people coming in just to use the bathroom. There was NO APOLOGY at any point in time for treating a paying customer this way. There was no acknowledgment that they were extremely rude and treated my boyfriend in a demeaning manner as though he was less than human. As a group, we spent about $450 that night and I regret giving this place our business. If I could give this establishment a zero star rating, I would. If you treat your patrons rudely you should at least offer an apology to make amends, not lame excuses for your demeaning behavior. 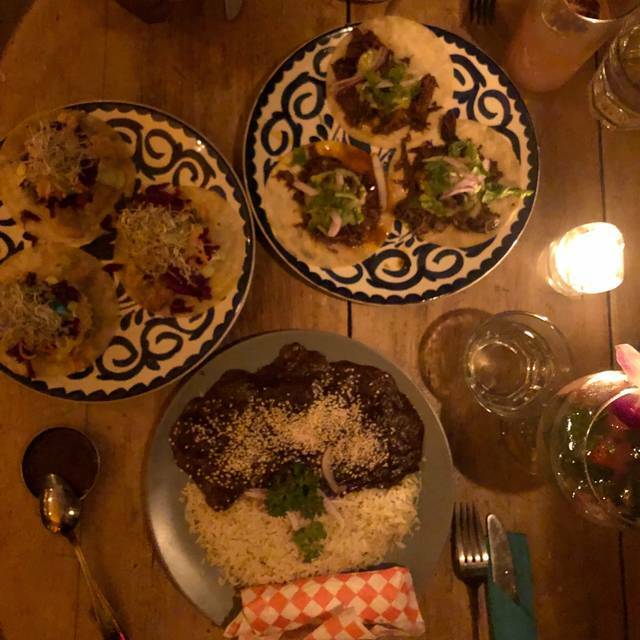 Was disappointed to see that the Steak Tacos were no longer available as those were so delicious but the Guacamole and Chips truly never disappoint! Probably the best in the city! Great atmosphere. Authentic food. Options for carnivores, vegetarians and vegans. Will go back when it’s not summerlicious to try other menu items. Ambience on the patio is sooooo fun. Great vibes! We had a great time! The food was lovely and filling with a great mix of textures in every bite. The smoked applewood tequila was a real highlight. Really unique. I'll back!